Art represents many things to me, flight of a beautiful bird, the smell of spring, the sound of a lion in the distance, the size of a wild elephant standing next to me, the sparkle of a hummingbird in the sunlight, the touch of young puppy's nose, and the sunrise over the water. All of these things give me inspiration to create paintings. I will sketch an idea and then begin to research the primary subject. I do my own photography for gathering the small details needed to give my artwork that special touch. I feel that I can only portray what I have seen, smelled or touched in order to be true to the subject. This has led to traveling to wonderful places to view and interact with magnificent animals and people. 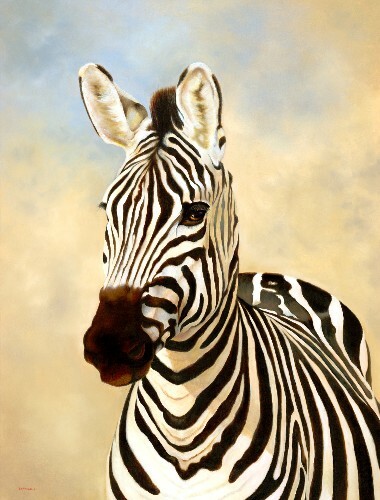 The majority of my artwork is nature oriented: animals, birds, flowers, reptiles, landscapes, seascapes, African animals. I work in oils, watercolors, colored pencils, graphite, and oil pastels. Art is so personal to me during the creative process and it thrills me when others like and understand my paintings. I am a professional artist with 30 years of experience and training. Each year I participate in over 20 juried shows and festivals. I also teach watercolor at our local Arts Council.